Light enters the eye through the transparent cornea and passes through the pupil, the diameter of which is determined by the iris. It then passes through the lens of the eye which bends the light (refraction) to focus it on the back of the retina. The image projected on the retina stimulates receptors that transmits signals to the brain. For visual acuity, all these structures need to be clear and functioning optimally in a manner that allows it to be focused accurately. A cataract is a clouding of the lens of the eye that causes progressive loss of vision over time. It develops gradually and since it is painless, it can take months to years before any change in vision is actually noticed. Cataracts are a common abnormality of the eye that is seen mainly in older people, although it can occur in younger patients when associated with certain diseases. The lens also has specialized crystalline proteins that are capable of transmitting and refracting light. Furthermore the cells of the lens lack the conventional organelles which may disrupt the transmission of light. Normally in the human eye, light passes through the lens and is bent (refraction) so that all beams of light are focused on a single spot on the retina. This creates a clear image. With a cataract, some light beams are blocked either partially or completely, diffused or distorted. Ultimately this means that a clear coherent image does not fall on the retina. The extent of the visual disturbance depends on several factors including the location, size ad severity of the clouded part of the lens. The entire lens is usually not affected simultaneously in a cataract but instead an area or areas of the lens are gradually compromised. The reason why the lens becomes opaque is complex and there are several mechanisms accounting for the different types of cataracts. Overall, cataracts are the leading cause of blindness globally. There are broadly three types of cataracts based on the location of the opacity in or on the lens. Nuclear cataract where the opacity is in the center of the lens (nucleus). 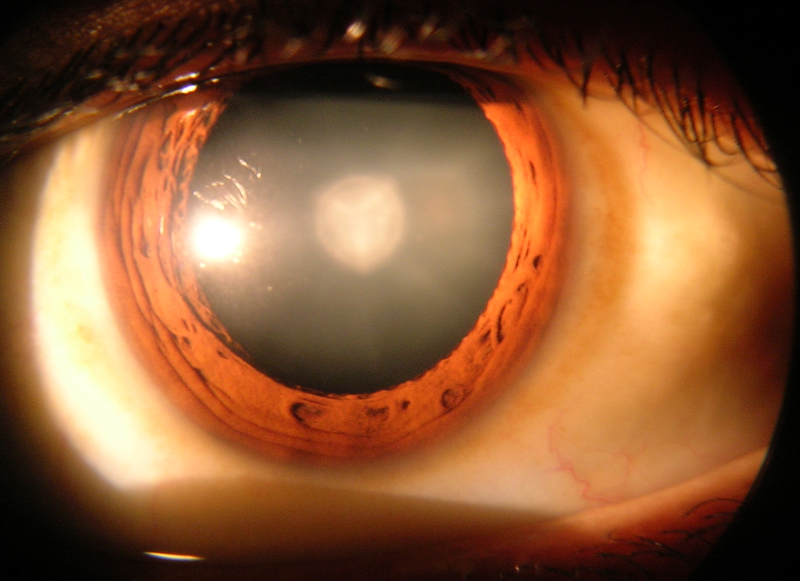 This occurs as a result of sclerosis (abnormal hardening) of the lens with accumulation of urochrome pigment causing the lens to become yellow or brown. 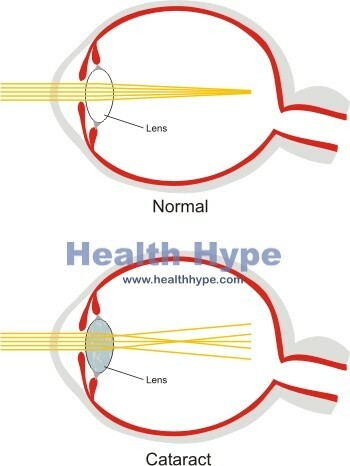 Cortical cataract where changes in the hydration and ionic composition in the cortex of the lens causes an opacity in the edge of the lens. The internal structure of the lens may even liquefy causing a hypermature or Morgagnian cataract. Posterior subcapsular catarct where the opacity is at the posterior (back) of the lens due to plaque formation or migration of the lens epithelium to the posterior surface. Cataracts can be broadly classified as acquired or congenital. Most cases of cataracts are acquired during the course of life while a small number is congenital meaning that it is present from birth. 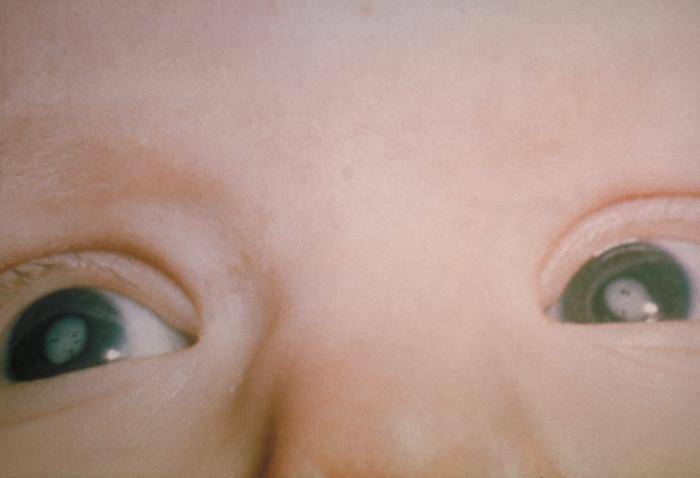 In terms of congenital cataracts, it may arise with diseases during the fetal stage of life or from in-born errors of metabolism that may lead to systemic changes including cataract formation. Acquired cataracts may occur as a complication of other diseases (secondary cataract) or injury to the eye (traumatic cataract). Most cataracts are due to age-related changes. The formation of cataracts in the elderly (senile cataracts) is probably due to a multitude of factors seen with aging – diminished regenerative properties, oxidative damage, hardening of the lens and any systemic illnesses. The symptoms of a cataract may develop gradually over time and usually remains unnoticed for long periods until the visual disturbances become prominent. Regular ocular examination by an opthalmologist may help with early detection. The main complaint is cloudy vision or blurred vision which may also be dim. This is a result of the opacity blocking or diffusing the light as it passes through the eye. Patients may also complain of a number of other visual disturbances such as halos, glare or double vision. Loss of visual acuity in bright light or when keeping the gaze at a fixed distance like when reading is seen mainly with posterior subcapsular cataracts. With nuclear cataracts, patients may report a short term improvement of near vision but eventually clouding, blurring and a gradual loss of vision sets in. Cataracts are painless lesions of the lens, however, a rise in intraocular pressure (glaucoma) seen with certain causes may result in eye pain.